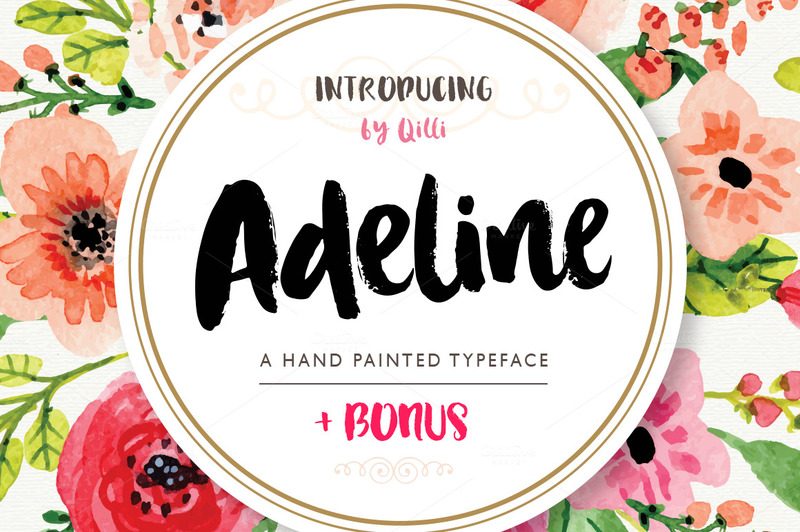 Adeline is a romantic hand drawn brush font created and published by Veronika Qilli, a Russian based type designer. Consisting of Adeline, an expansive irregular thick brush font and a set of 57 hand sketched vintage elements in png format, this combination can be perfect for cards, prints, logos, wedding invitations, arrange illustration and decoration. You’re gonna love Adeline! A font description published on Wednesday, July 6th, 2016 in Fonts, Veronika Qilli by Andrei that has 3,124 views.